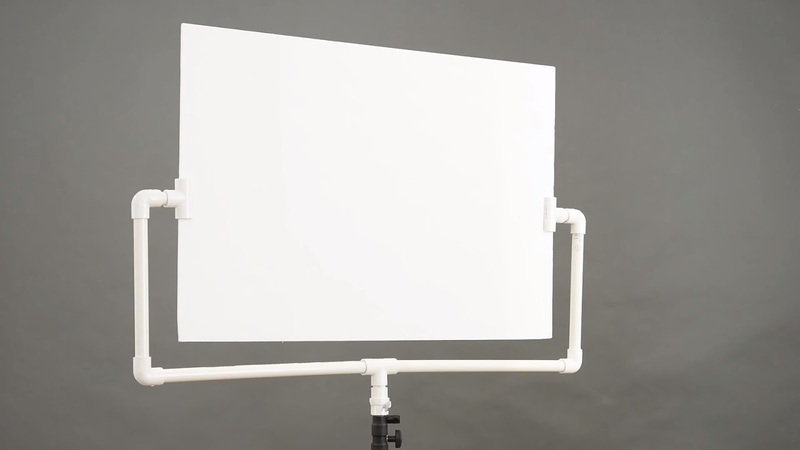 Joe Edelman haves TWO solutions for building DIY photography studio reflector holders for less than 10 bucks - for both! He will also show you a cool studio lighting tutorial and inexpensive way to create a broad light modifier for your speedlight or monolight for only a dollar! I have been getting lots of requests for more DIY portrait studio gear so as follow-up to the PVC portrait background stand, I want to show you a real easy way to create a set of photo reflector holders that are even easier to use than the expensive ones. The two holders support Gobos and flags. A Gobo goes between your light source and your subject and its used to alter or shape the light. A flag also goes between your light and your subject to block the light from reaching a part of your scene or it is used between your light and your camera to prevent light from reaching the camera lens and creating unwanted flare.